A mutation found in the P2Y12-gene causes a severe bleeding disorder in Great Swiss Mountain Dog. Normally, affected dogs do not show early symptoms like spontaneous bleeding typical for most bleeding disorders. Therefore, severe bleeding occurs after injuries or during surgery for the first time and ended fatal in many known cases. 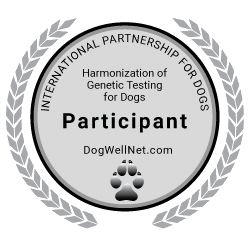 The genetic test is a diagnostic tool to pre-emptively check a dog for this predisposition for severe bleeding.